(NewsUSA) - In the age of nonstop news and often limited fact-checking, a new digital news publication, Rantt, is moving in the other direction, focusing on slowing the story down, and getting the facts right, even if it means not being the first to publish a seemingly hot story. "We're taking an episodic approach to covering stories, and pride ourselves on slowing down the news," Rantt CEO and co-founder Zak Ali says in a feature in The Huffington Post on March 6, 2017. "We want to be the opposite of everything we see wrong with the news media: sensationalism, misleading clickbait, false equivalency, etc.," Ali says. "Also, we feel like we are a voice for the disenfranchised population who feel let down by the mainstream media. Rantt will be the first episodic news source that people turn towards to get the full truth the first time," he emphasizes. 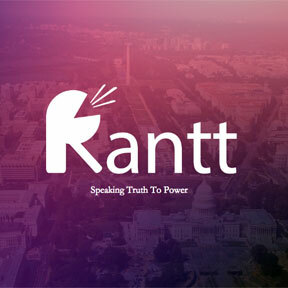 Rantt launched online in November 2016, in the wake of the controversial presidential election. The Washington, D.C.-based startup reports more than 100,000 unique visitors as of March 2017. Data from the company suggests that visitors to the site encompass a range of demographics, but most of its readers are millennials. Rantt's growing popularity also supports the idea that there is still an audience for unrushed, well-documented news stories. The company was initially funded by Tricent Capital, a Silicon Valley investment firm, but their success is prompting them to expand and raise additional funds. The site's popularity reflects the public's desire for and interest in accuracy in the news, according to Ali. Public interest in politics and current events surged at the time of the election and remain high, opening the door for alternative media options to serve a news-hungry readership. The founders cite the Drudge Report, Politico, and Talking Points Memo as examples of independent online news organizations that are able to fill a niche and serve as an alternative to the traditional mainstream media sources. Rantt.com, includes a news section, an opinion section (known as Rantts), a section devoted to news related to President Donald Trump (known as Unpresidented) and a section called Underreported that provides a weekly summary of top news stories. Check out rantt.com to read the latest stories, explore contributors' profiles, and follow stories on the company's Twitter feed.